With features like 6,500 CFM, ductable to 150 feet with a full load power consumption of a mere 17 amps, it’s not surprising why the Blaze 600G Turbo II boasts the highest performance level in its class. 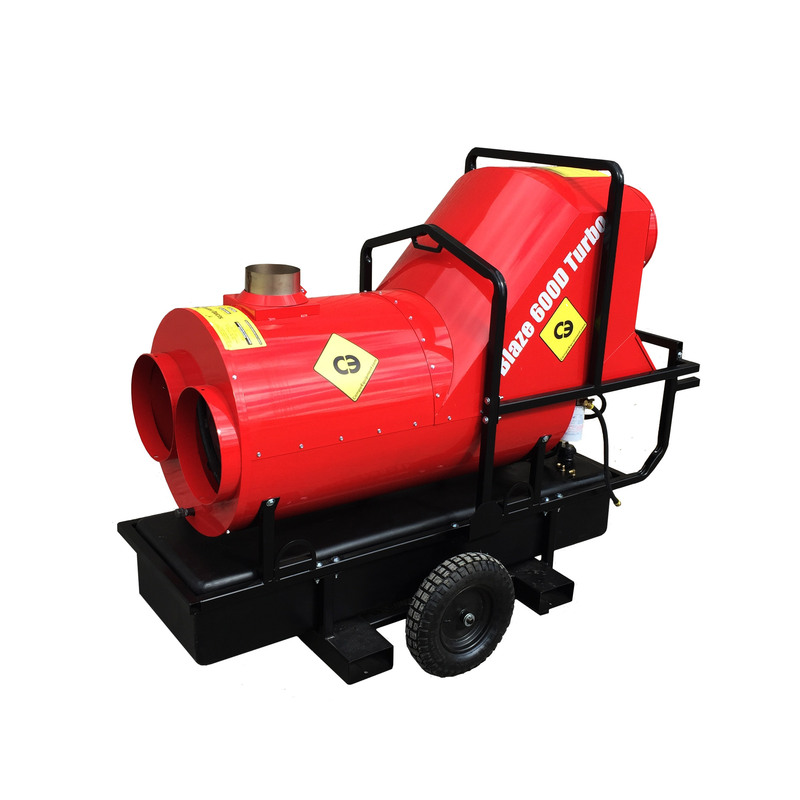 Capable of 4″ of static pressure, it comes equipped with Whisper Quiet Operation, 240° F Heat Rise and Air Recirculating Capabilities. Designed to meet the particular needs of the rental market, the low amp draw (17 A) and high static capabilities makes the Turbo adaptable to unpredictable environments. The sleek and compact design (76.7” x 31” x 57.6”) combines efficiency with high performance making the 600 Turbos adaptable to various heating and drying applications. Rental rugged and designed for durability, each unit comes equipped with a lifting bar and forklift pockets as well as optional foam filled tires.